This activity is related to a Teachable Moment from April 19, 2017. See "How NASA Studies and Tracks Asteroids Near and Far." 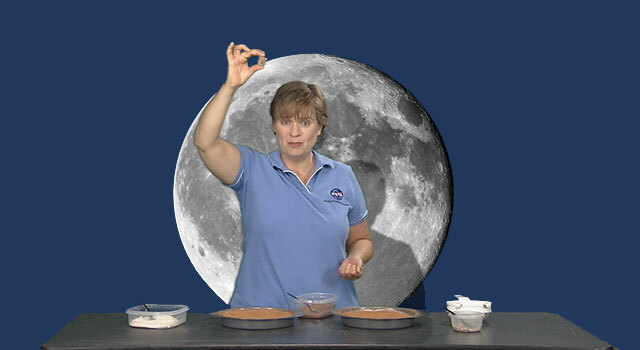 Use baking ingredients to whip up a moon-like crater as a demonstration for students. 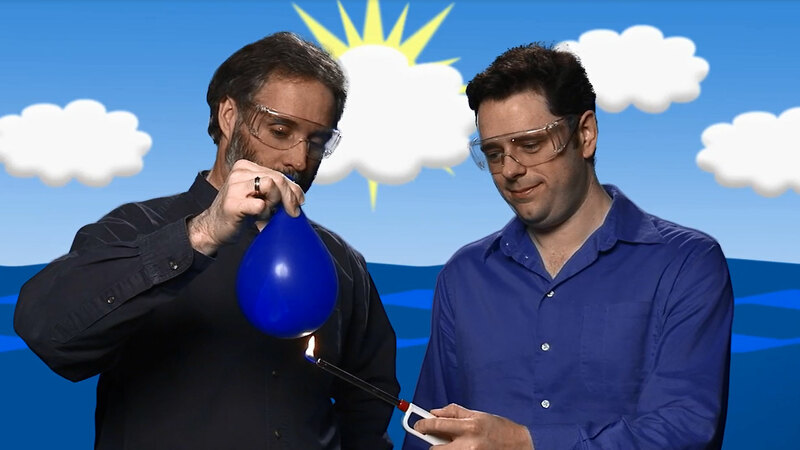 This activity works in classrooms, camps and at home. 2 or 3 small rocks of different sizes and shapes to use as "impactors"
Watch the "DIY Space: How to Make a Crater" video tutorial at the top of the page for instructions on how to do the demonstration. Spread about an inch of flour into your cake pan. Add a third layer of cocoa by sprinkling it over the top with a spoon or sifting it for a more even coating. Simulate a rock impacting the surface, by holding one of the rocks above your head and dropping it into the cake pan. 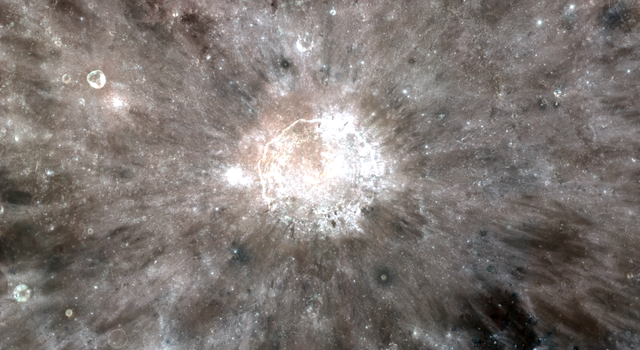 Observe the "ejecta pattern" created by the impact. Try dropping different size rocks and different angles and heights, and see how the ejecta patter differs from one impact to the next.